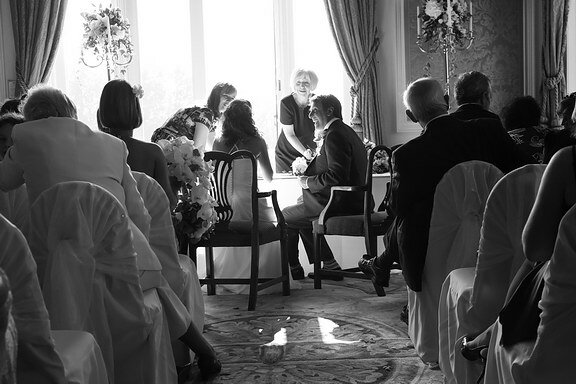 On 27 September 2008, Natalie and Stuart’s wedding provided my first shoot at Stoke Park Club, Stoke Poges. This venue is often used for film sets – including Goldfinger in the 1960s, and more recently Bridget Jones’ Diary. Coincidentally I have just finished reading Huxley’s classic “Brave New World”, where it receives several references. So a great venue, wonderful weather (though a little contrasty) and another superb couple to photograph. Beats working for a living! Best signing of the register I’ve ever seen!